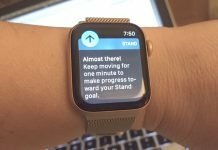 Cardiogram is a mobile app that works with Apple Watch, Wear OS, and just recently Garmin smartwatches that have heart rate sensors. 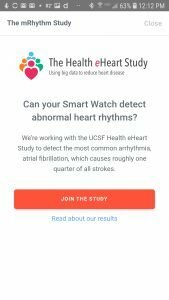 Users can opt in to a study conducted by the University of California, San Francisco to help them better detect heart abnormalities, such as atrial fibrillation, commonly referred to as afib using smartwatches and fitness trackers. Afib can cause strokes and other health issues. 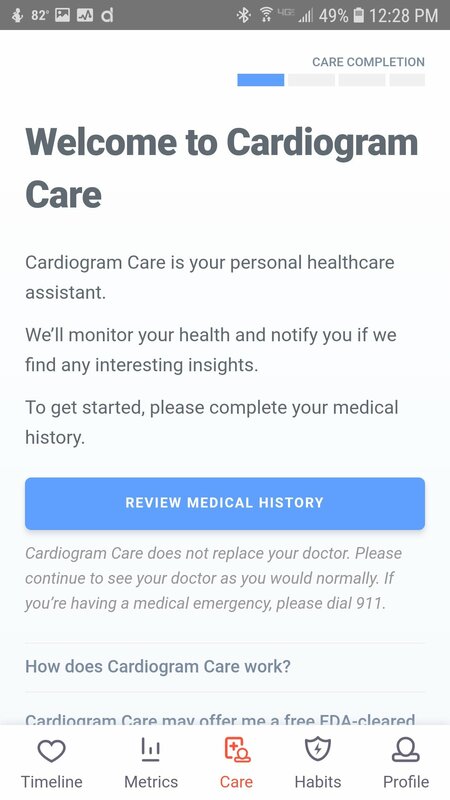 Cardiogram Care, found in the app, can be configured to continuously monitor your heart rate if used with a compatible smartwatch. 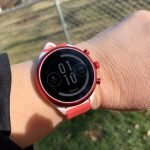 I’ll be using it with the Ticwatch Pro which runs on Wear OS for the first week and then switch over to the Garmin Fenix 5s. 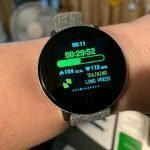 The Fenix 5s constantly measures heart rate while the Ticwatch Pro only measures heart rate every so many minutes, unless I’m doing a workout. I’m interested to see if there will be any noticeable differences in the data that I get back from the two watches. 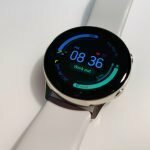 Another difference with the Fenix is that it also monitors my sleep while the Ticwatch Pro doesn’t and sleep is one of the metrics that the Cardiogram app may consider. 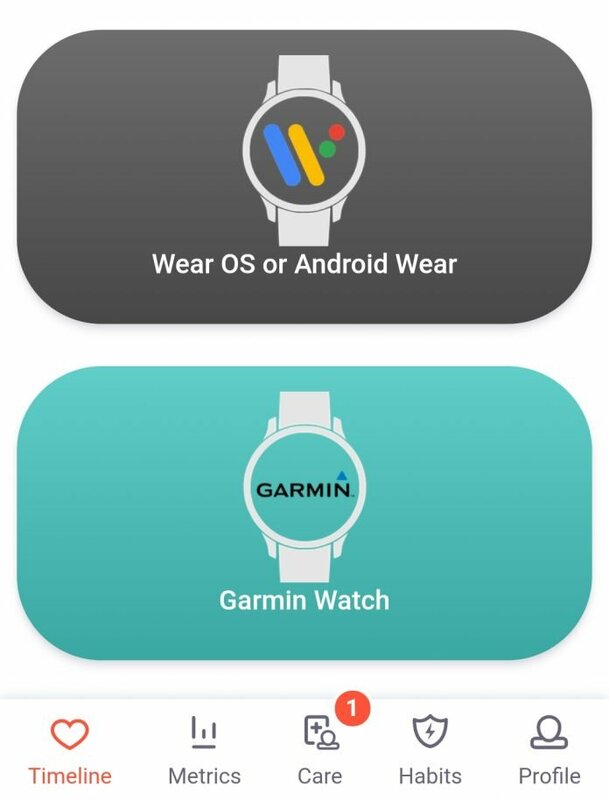 The Cardiogram app works with any Garmin watch that has a heart rate sensor so if you have a Garmin fitness tracker with a HR sensor you can participate. 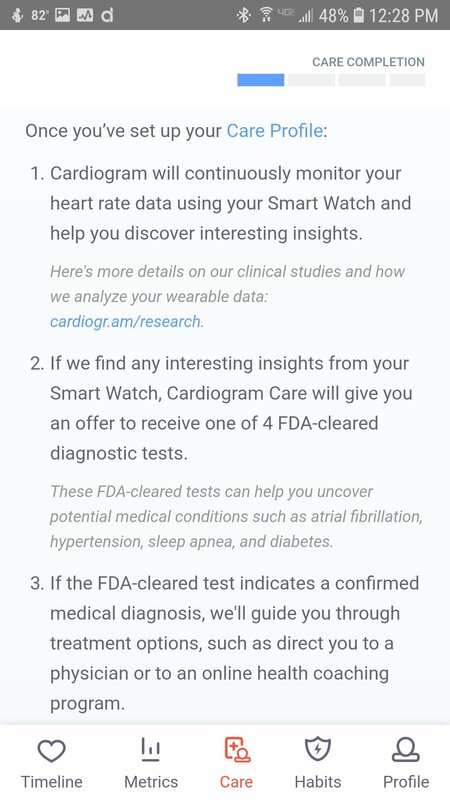 If Cardiogram Care, through the study, possibly detects anything “interesting” they will offer a “FDA-cleared diagnostic test”. This is to confirm anything that they might think they detected from the data your heart rate sensor has collected. 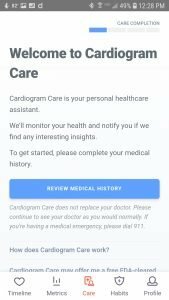 The app by itself can’t diagnose any heart condition but it may be able to pick up on results that look out of the ordinary and then confirm their suspicions with medically approved tests. 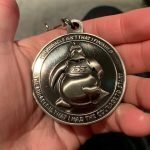 You can read more about this through the app and what costs, if any, may be applicable. 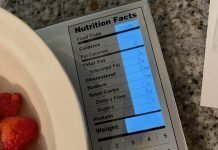 There’s no costs to use the app or if your results come back negative but you may have to work with your insurance company for the FDA-approved device if your test comes back positive. This area is a little bit murky but whenever you get insurance companies involved murky is about as clear as things usually get! For most people, it’s likely nothing abnormal will be detected but it may potentially pick up something that needs further investigation. 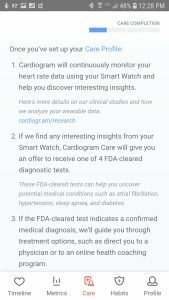 I really think this a good study to participate in because as more people use fitness trackers and smartwatches that are continuously monitoring their heart rate, it makes sense to compare data that our fitness trackers are collecting on a daily basis against medically approved diagnostic tests to determine if smartwatches can detect problems as well as medical devices. Only through large studies like this can that be determined. 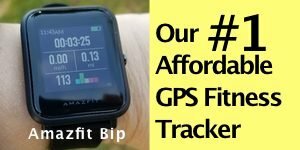 Besides monitoring for afib, the app also keeps records of your resting heart rate which is also an important metric for heart health. 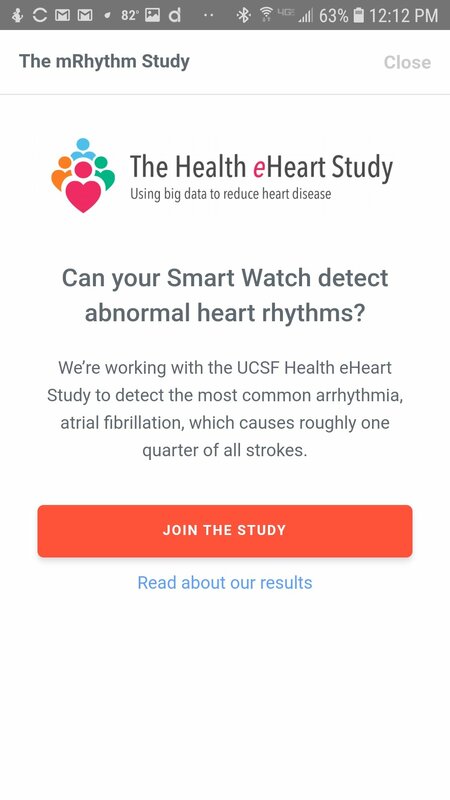 You can learn more about the app and the study here. 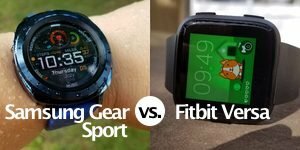 It’s available for both iOS and Android but you’ll need a fitness tracker or smartwatch that is compatible. I’ll be writing up much more about the app and study as I discover more about it. 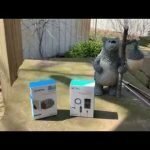 Previous articleSamsung Galaxy Watch Unveiled!